This entry was posted on August 30, 2008 at 6:03 pm and is filed under CIVIL SERVICE 2009, Current Affair, Current Affair from Hindu, Current National issues and topics of social relevance, MOCK TEST SERIES 2009, Questions - IAS Prelim, Questions for Practice, Quiz - Geography, Quiz - IAS General Studies, Quiz Current Affair, QUIZ ECONOMICS, Quiz History, QUIZ IAS General Stuides, Quiz Indian Polity, QUIZ Physics-Chemistry, UPSC, UPSC - IAS 2008, UPSC IAS 2009, Vision 2020. You can follow any responses to this entry through the RSS 2.0 feed. You can leave a response, or trackback from your own site. please send me all ias math prelims & main exams papers. so will u help in providing the study material for prepration of GS. can u please send me the answers for current affairs and gk tests. Please send me the General study – study material & sample question / mock test??? sir can u pls send me complete information regarding syllabus what should be taken as an optional and main papers .i am a student of 7th sem engg. I m interested in civil services. Can u please suggest me what papers I should opt for the prelims nd mains. in favour i m vaiting for ur response..
i found good knowledge here. i hope you always be with me to help in every task of carrier. thanks from deep heart feelings. i m a student of 8th sem engg. sir i can u pls tell me that i hv choosen georaphy subject…. is it a right choice or not. give me sme tips regarding that. 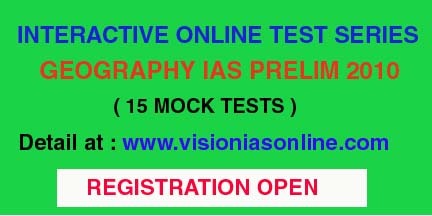 I am student of IT(MCA) and having wish to compete the IPS examination then which subject should I choose.